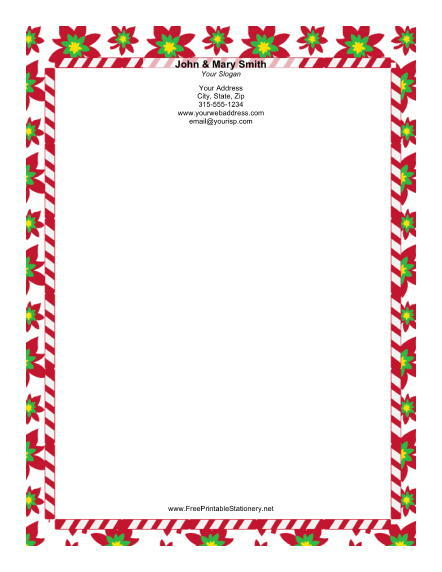 A bright poinsettia and a candy cane border really pop on this Christmas stationery. The flowers are red, green, and yellow, and the candy canes are red, which stand out beautifully against the simple white background. Flowers and candy are a great combination for Christmas and will brighten up any holiday letter.